Tan Sri Dr Noorul Ainur Mohd Nur has over 38 years’ experience in the public sector spanning several ministries, including serving as Secretary-General of the Ministry of Higher Education; Ministry of Science, Technology and Innovation Malaysia; and Ministry of Women, Family and Community Development. She has also held key positions in the Ministry of Finance, Ministry of Education, Ministry of Information, and the National Institute of Public Administration Malaysia (INTAN). In the international arena, she has served as Senior Advisor in the Southeast Asia Group for the World Bank in Washington DC from 2006 to 2008. In 2013, she was appointed as the Vice President of the Intergovernmental Council of the Management of Social Transformations Programme of the United Nations Educational, Scientific and Cultural Organisation (UNESCO) for the Asia Pacific region, a post she held until 2015. Tan Sri Noorul was also the first Malaysian to be elected as President of the Science Commission, UNESCO Paris from 2015 to 2017. 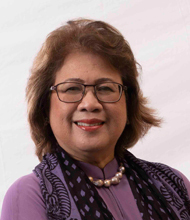 Tan Sri Dr Noorul obtained her PhD in Political Science from the Graduate Centre, City University of New York, and holds a Masters of Social Science degree (MSocSci) in Development Administration from the University of Birmingham.